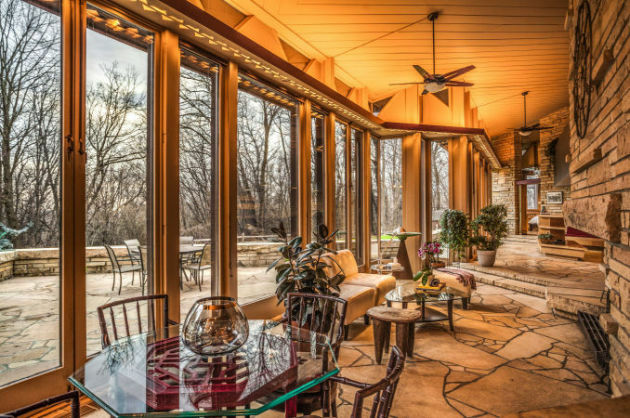 Just Listed at $590,000: A Frank Lloyd Wright-inspired house in Chanhassen with a 100-foot wall of windows, sweeping views and irreplacable stone work. Listing agent Scott Acker calls it “one of the finest architectural properties that I have ever been inside of.” Acker should know. 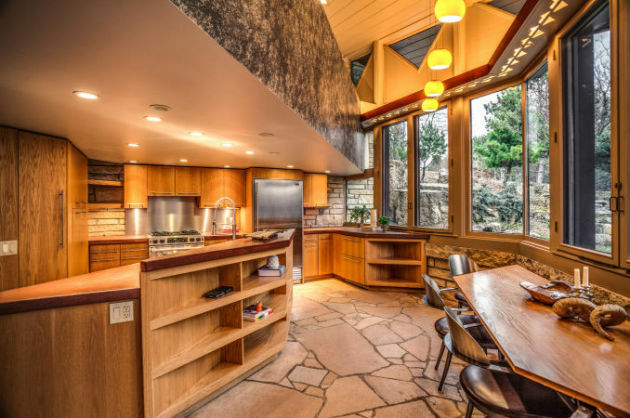 He’s sold some of the most interesting architect-designed houses in the Twin Cities. 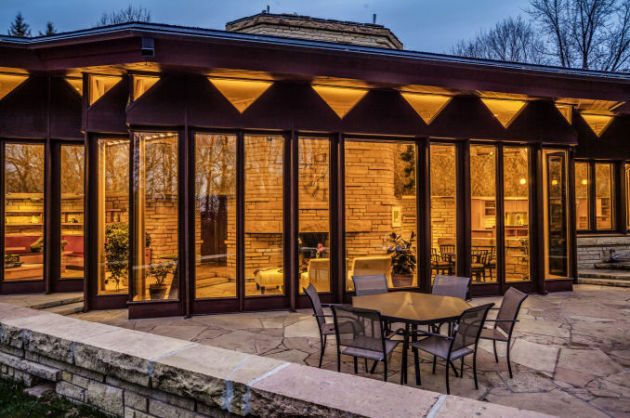 This one was designed by architect David Uppgren and built in 1978, though it bears a close resemblance to the early 20th century houses designed by Wright and his contemporaries. The sprawling, one-level house has acres of stone, including terraces, flooring and a massive stone-cladded fireplace. And the 4.3-acre site has its own Japanese garden with water feature and woodland views in the Hesse Farm section of Chanhassen. More photos are at Acker’s website: www.birkelandburnet.com.